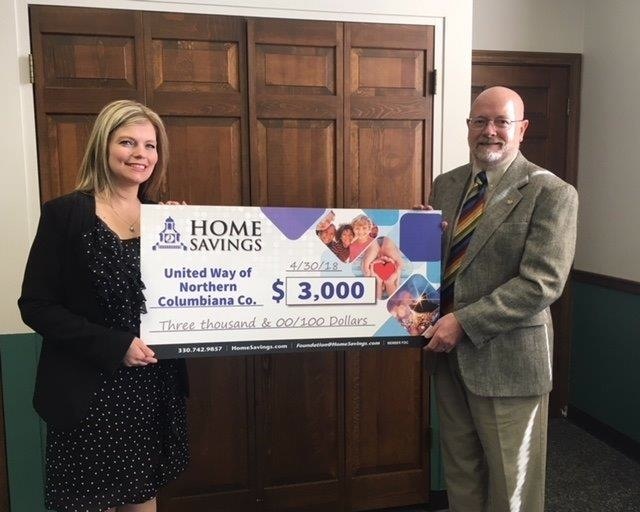 Home Savings recently donated $3,000 to United Way of Northern Columbiana County in support of the 2018 United Way Campaign. For information regarding United Way of Northern Columbiana County, call 330-337-0310 or visit UnitedWayofNCC.org. Above are Mindy Wiesensee, left, branch manager, Home Savings Salem Office; and George W.S. Hays, executive director, United Way of NCC. December 12, 2013 4:57 a.m.
December 10, 2013 9:40 a.m.